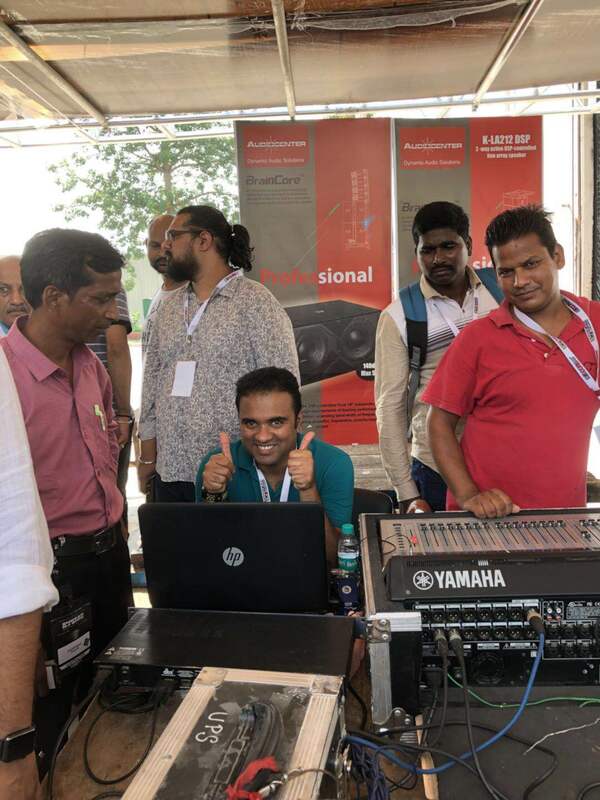 Audiocenter @ The Indian DJ Expo 2018 was in the full swing! 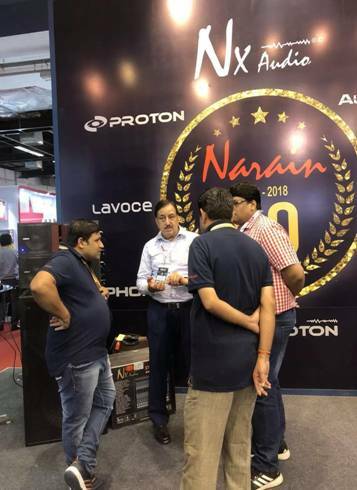 On the 7th July, 2018 Audiocenter’s Indian Distributor NARAIN Audio from Mumbai Launched new Products from Audiocenter at the recently held Indian DJ Expo Pro Audio Exhibition although the day was very hot and humid at New Delhi, it cannot stop the pace of Audiocenter’s fans to arrival at the exhibition and to visit the new products of Audiocenter. 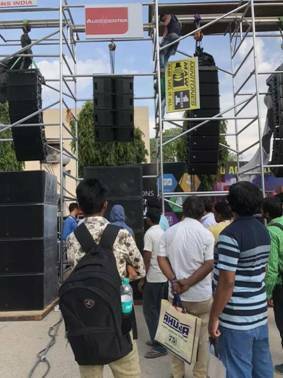 The Indian DJ Expo aims to cultivate itself as the Entertainment industry's best-attended, most-successful trade show which brings a strong content of high end technology and innovation offering exhibitors and there customers a privileged platform in the world of entertainment. 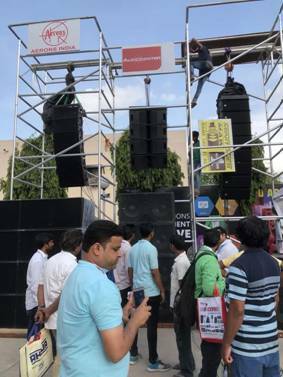 Indian DJ Expo is determined to create a great synergy between the brands representatives end the trade/end-users the key players that mean business. 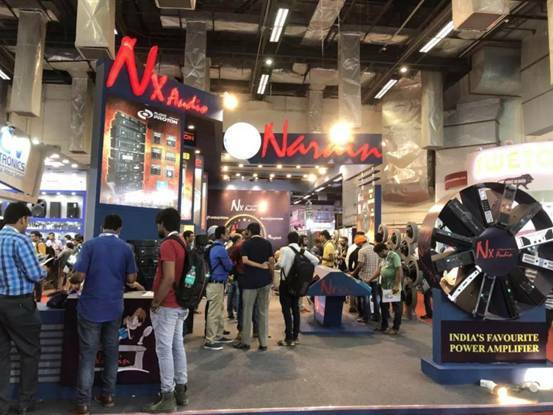 The Indian DJ Expo was held at the Pragati Maidan in New Delhi, the international destination for prestigious exhibitions, having the best facilities and a landmark known to everyone in the trade. 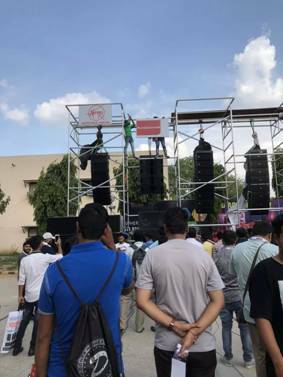 In order to meet the needs of different customers during the exhibition, we respectively set up two areas: indoor display Booth and outdoor Line Array Demo Area. 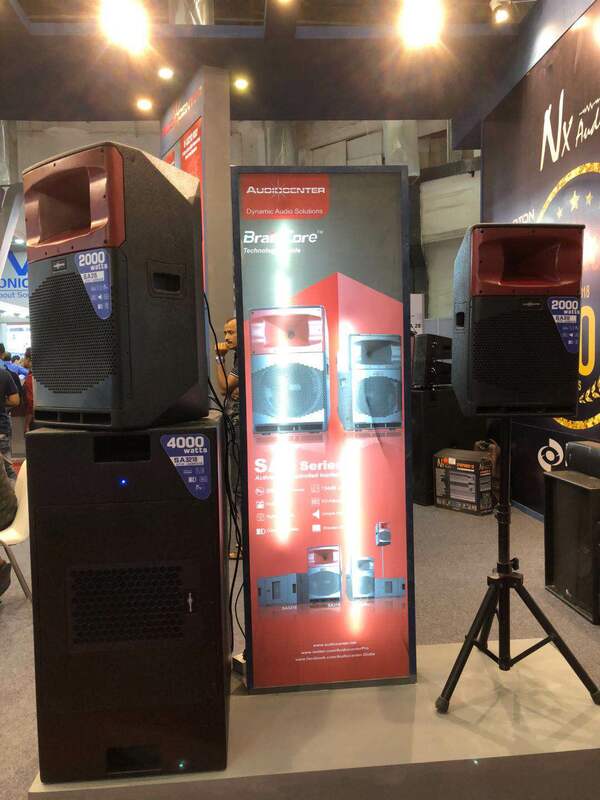 In the indoor display, we display Audiocenter New Products were Like SA3 Series Full Range Powered Loundspeakers, K-LA28-MA/SP Active Dual 8” Line array along with K-LA-212DSP Active Dual 12” Line Array Element and also PF+MKII passive Multi-purpose Compact Loudspeaker etc and for the outdoor Line Array demonstration, we display K-LA-212DSP Active Dual 12” Live Array Element and K-LA-218DSP Powered Dual 18” Subwoofer with 4+4 systems. 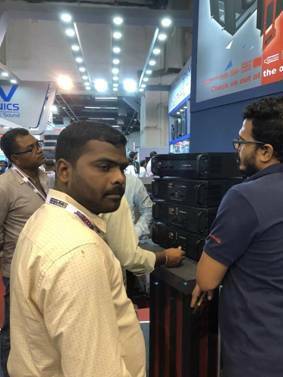 we meticulously build the area of All-Star product experience area on the Indian DJ Expo which attracts a large number of merchants to visit, to experience and to consult. 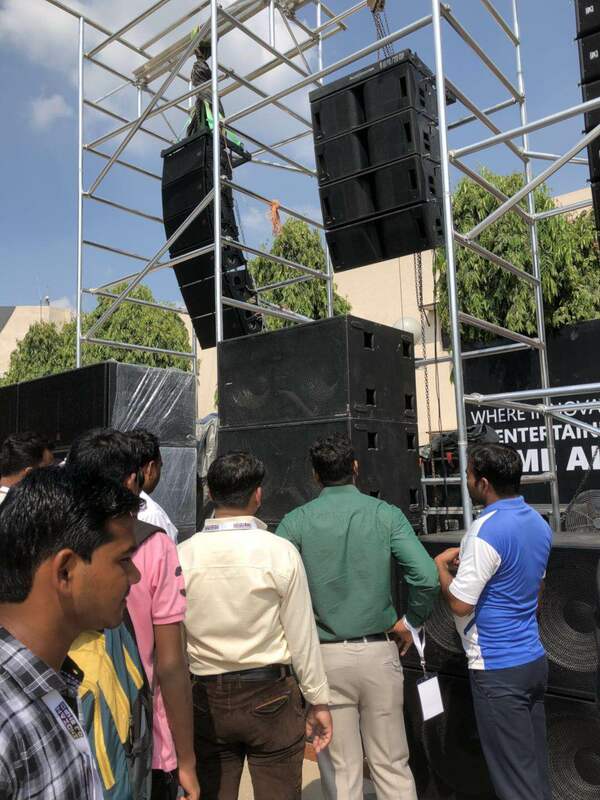 The new product SA3 Series Active DSP-controlled Loudspeaker was so popular by everyone which has a stylish outlook, excellent sound and output stability that make people did not want to go home. 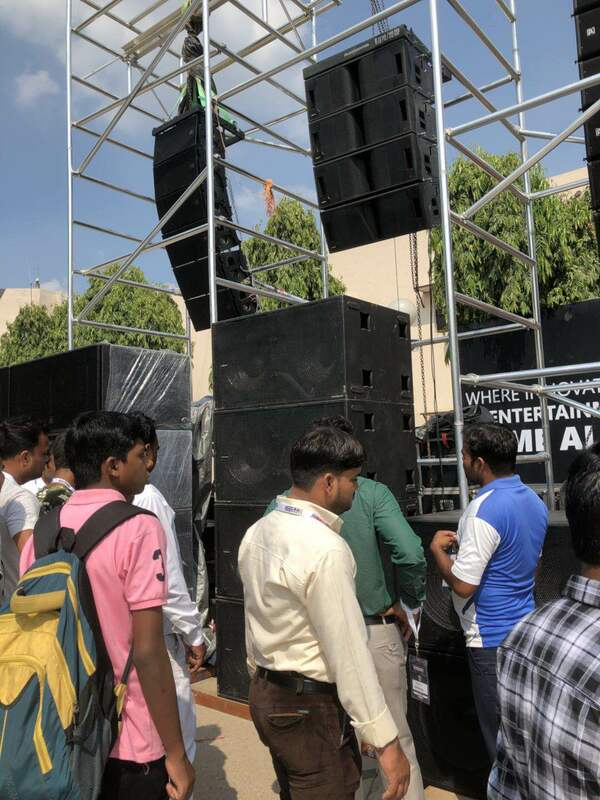 At such hot day, it cannot stop people to pursue of Audiocenter’s product. 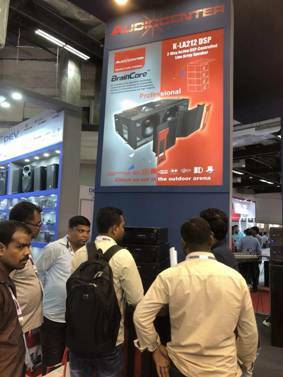 There are professional sales people and technical personnel to answer the relevant product knowledge for you on site.